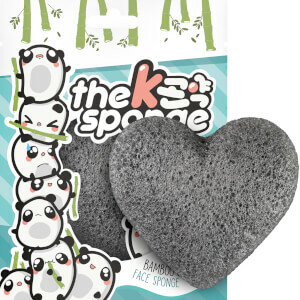 Combat oily and blemish-prone skin with The Konjac Sponge Company K-Sponge Heart Sponge in Bamboo Charcoal. 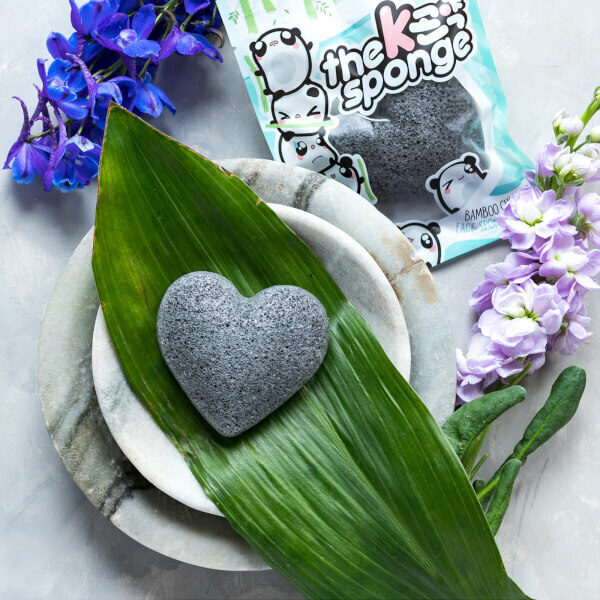 Like all award-winning Konjac Sponges, it has been made by hand with plant fibre in the volcanic hills of Jeju Island, South Korea, and is 100% natural and biodegradable. Enriched with antioxidant Charcoal Powder to draw out bacteria and impurities from deep within pores, the ultra-gentle sponge helps to sweep away excess oil to banish shine and help prevent future breakouts. Working to balance pH levels and soothe any feelings of sensitivity or irritation, the heart-shaped sponge even removes makeup to leave skin looking bright, clear and healthy. Housed in adorable panda-print packaging.